As the region heads into the Fall season, New York Blood Center (NYBC) has issued an emergency blood appeal, reporting that community supplies of all types of donor blood are at critically low levels. In the wake of this shortage, NYBC has issued an urgent call for potential blood donors. NYBC reports that while it is distributing more blood than last year at this time, the summer vacation months have been particularly hard on blood donations and supplies. Each and every day there are patients who depend on the transfusion of red blood cells, platelets and plasma to stay alive– including those with cancer, leukemia, and victims of accidents and other traumas. But blood and blood products can only come from volunteer blood donors who take an hour or so out of their busy schedule to attend a blood drive or visit a donor center. With a limited shelf life, blood supplies must be continually replenished. People with O-negative blood are known as “universal donors” because their blood can be transfused to anyone. Type O is found in just six percent of the population, and is often transfused to patients with other blood types in emergency rooms and trauma situations. People of all blood types and ethnicities are encouraged to donate, and are critical to maintaining the diversity of Greater New York’s blood supply. Car accident and trauma victims may need 50 or more blood transfusions. Police officers can be injured in the line of duty. First responders also face great danger during emergencies. People can donate one pint of whole blood every 56 days and platelets every three days. 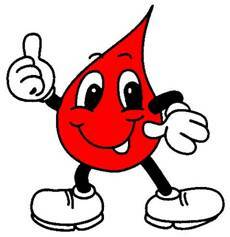 Any company, community organization, place of worship, or individual may host a blood drive. NYBC also offers special community service scholarships for students who organize community blood drives during summer months. Blood donors receive free mini-medical exams on site including information about their temperature, blood pressure and hematocrit level. Eligible donors include those people at least age 16 (with parental permission or consent), who weigh a minimum of 110 pounds, are in good health and meet all Food & Drug Administration and NY or NJ State Department of Health donor criteria. People over 75 may donate with a doctor’s note. About New York Blood Center: New York Blood Center (NYBC) is one of the nation's largest non-profit, community-based blood centers. For almost 50 years, NYBC has been providing blood, transfusion products and services to hospitals serving more than 20 million people in New York City, Long Island, the Hudson Valley, New Jersey, and parts of Connecticut and Pennsylvania. NYBC is also home to the Lindsley F. Kimball Research Institute and the National Cord Blood Program, the world's largest public cord blood bank. NYBC provides medical services and programs (Clinical, Transfusion, and Hemophilia Services) through our medical professionals along with consultative services in transfusion medicine. LEGISLATOR MUSCARELLA WANTS TO HELP YOU AVOID BECOMING A VICTIM OF IDENTITY THEFT! AN IMPORTANT SAFETY UPDATE FROM LEGISLATOR MUSCARELLA: HURRICANE SEASON IS HERE!